Veteran civil litigator turned Airbnb community expert. Sounds like an adult-coming-of-age story produced by Focus Features, yes? Maybe one day. For now though – this is Will Holman’s story. From there, Holman went on to study at Denison University in Granville, Ohio, triple-majoring in Political Science and Philosophy and Economics. So, what’s the next challenge after the equivalent of a double major in those three disciplines? “I spent most of my high school and college hearing everybody tell me I need to go to law school,” Holman says. And so he went to law school – Wake Forest University School of Law. And then practiced law as a civil litigator for three different firms over ten years. Having traveled on Airbnb as a guest two or three times, Holman started “hosting” his house in Belize on Airbnb in the summer of 2014. A bit of a professional adventure. Holman was interested. Holman spent a few hours a day answering user questions – a lot of ‘how to’, logistical questions. Two weeks beyond the six week pilot program, the feedback for the program was good. And the questions didn’t stop coming in. The pay never went away. It kept growing. “It built to the point where I was making the equivalent answering questions as I was in my law career,” Holman admits. That “knock around way” to give back and make a little extra change has now evolved into a full-time engagement for Holman. He left law in January 2016. On an average week, Holman responds to between 2,000 and 4,000 questions a week which explains why he’s at the top of the Airbnb “leaderboard.” – in this respective week, he was approximately 70,000 points ahead of his closest competition. So, seriously – how’s all this work? The opportunity spoke to his competitive nature. “The idea that there are this bounty of points and money, I felt like I was playing one of these viral games but the reward was money instead of an extra crop of plants,” he laughs. While his job is flexible, he still maintains a routine – which obviously includes working from a consistent spot (we see you at the table in the back, Will) with his headphones on from Hygge’s Hill Street location. Hygge’s energy also makes what might feel like a slog of answering q’s a wee bit easier. “Hygge is the place where I can focus,” he says. That focus is sparking new professional adventures for Holman. 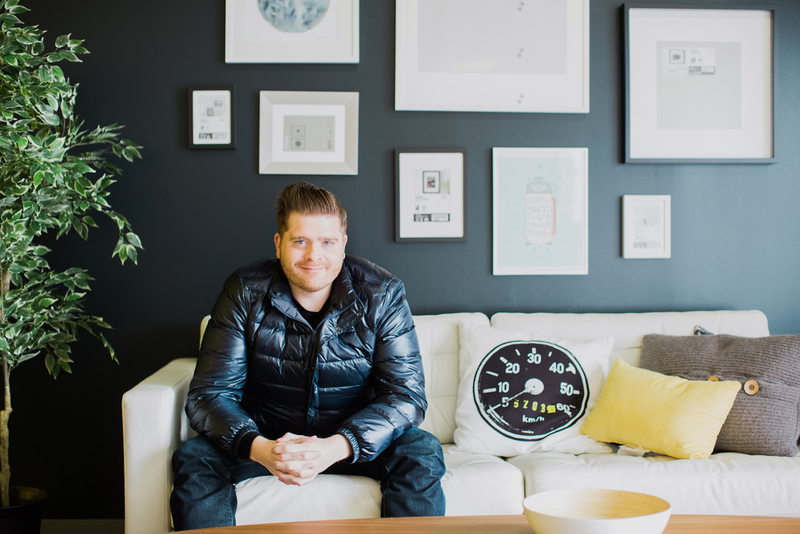 He teaches Skillpop classes every couple of weeks with his go-to strategies on how to host on Airbnb, and he most recently launched Through the Threshold, professional grade Airbnb hosting advice and consulting service. He worked with fellow Hygge member, Christina Hill of Green Beans Creative, on the design of the website. “Hygge is a positive environment both in people and the physical space,” Holman says. We’re thrilled to be part of your story, Will. So, what’s the most memorable vacation this Airbnb community expert has experienced?